Redang Holiday Beach Villa is the perfect place to relax and unwind. Spectacularly located at the edge of a beautiful lagoon, Redang Holiday Beach Villa is the most picturesque and charming of the resorts on Redang Island. Built of beautiful local hardwoods, the traditional rustic Malay style architecture of the resort is almost camouflaged into the island’s lush green interior. Each of the air-conditioned rooms has its own private balcony and en suite bathroom. Just a stone’s throw from the resort beyond the beautiful powdery white sand, you can enjoy snorkelling or scuba diving in the crystal clear warm waters teeming with rainbow coloured fish and spectacular coral. In the evenings you can sit out on the verandah over the water and enjoy a quiet, cool refreshing drink as you watch the evening sunset hues of amber melt into the darkening tropical sea. Great place with the great price! I enjoyed every moment here. I though I would be boring if I stay here for a week but I do a lot of activities until I forgot that a week is very short time here. Very recommended!! I come here with my fellow friends, I really enjoyed doing snorkeling here because I got the opportunity to see a turtle, a big turtle!! 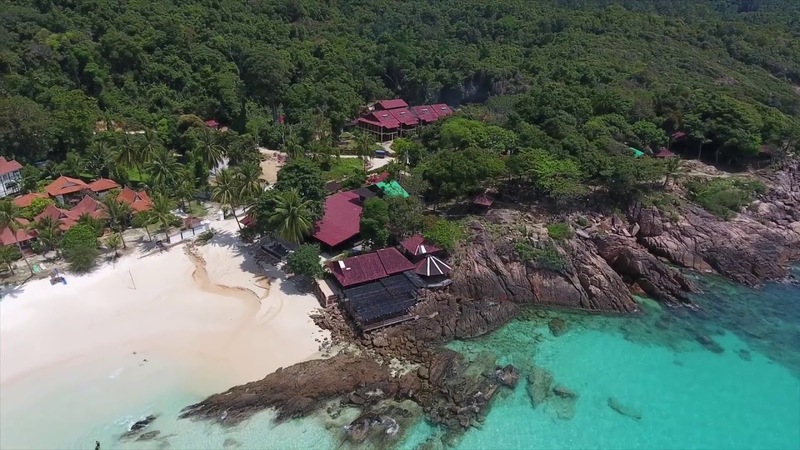 Redang Holiday Beach Villa shared a post. Happy Women’s Day to all the incredible women! Shine on…. Not just today but everyday!